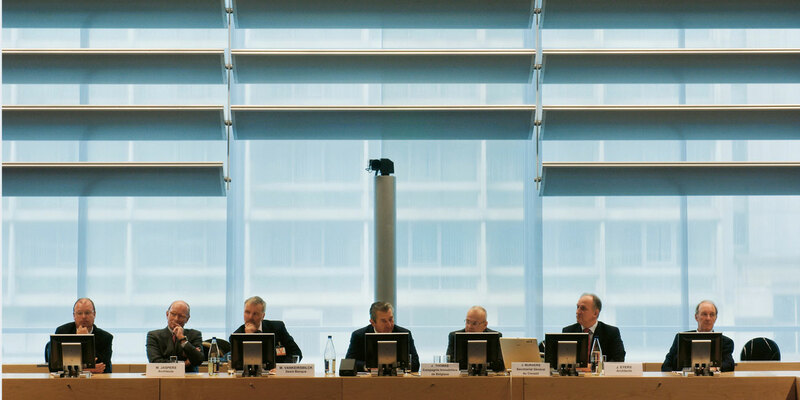 As an 1998’ international competition design winner, the 15-storey Lex building provides additional office space for the Council of the European Ministers. 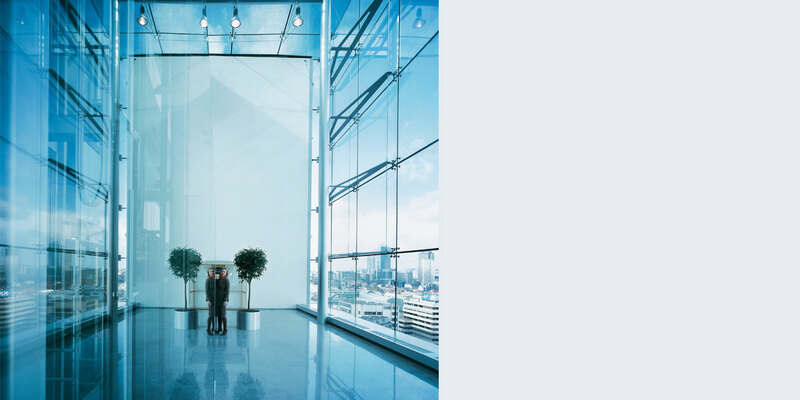 Various strict demands, from functional integration in the site and safety arrangements to facilities for pedestrians, were well thought out and translated into this transparent and solid design. Located in the heart of the Brussels Central Business District, within the immediate surroundings of the development, the recessed floor at ground level creates wider pavements that run the entire length of the building and the design of a grand staircase improves pedestrian access to the nearby subway stations. 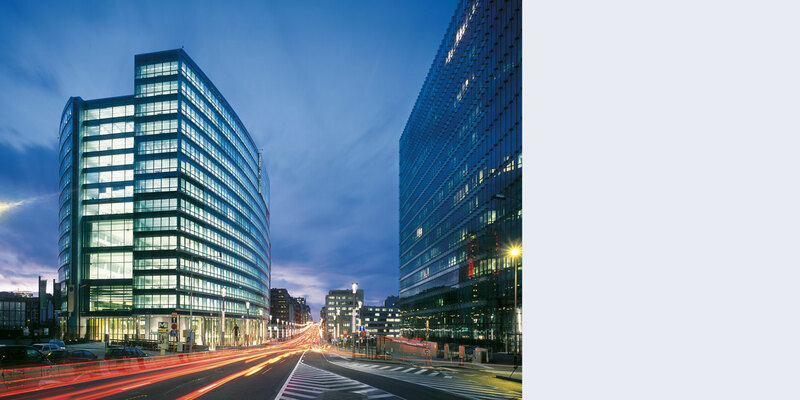 The convex façades of the development are a subtle reply to the concave façade of the Berlaymont building, the HQ of European Union, located just one block away. 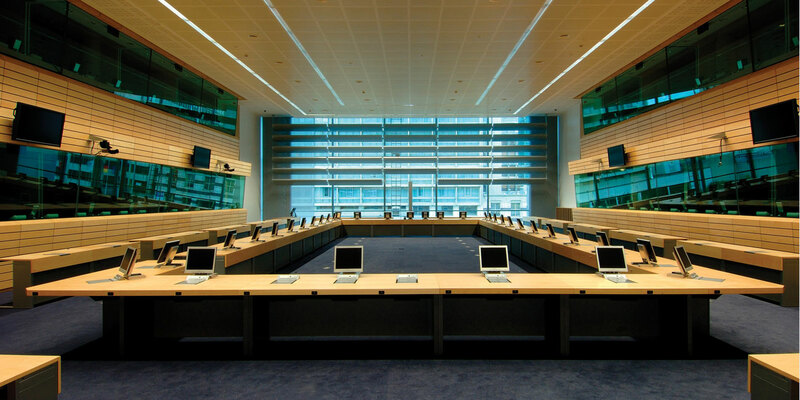 The interior complies with the program of the Council of the European Union, which requires the provision of an intricate mix of meeting rooms and offices within a high-security context. The building houses a series of double-height assembly halls with natural lighting and the meeting rooms are stacked vertically at each end of the building along the side façades. The project is organised around two 6- and 7-storey open-air landscaped courtyards on the upper levels that allow natural light to penetrate the large floor plates.